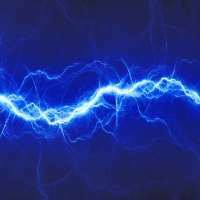 Fortunately, there are many ways to lower the damaging effects of EMFs from standing away from appliances while they are in use, to using devices that change how your body responds to them. An electromagnetic field (EMF) is an invisible electric field that is produced when an electrical current runs through a wire. EMFs are also a natural product of the Earth's magnetic field. The effects of man-made EMFs can be very damaging to your health-particularly your breast health. One way that they interfere with your body's ability to stay healthy is by disrupting certain hormones, especially melatonin. Melatonin is known as your sleep hormone but it is also profoundly important for general good health and breast health. Women with chronically low melatonin levels, usually caused by going to bed too late or working the night shift, have a significantly elevated risk of breast cancer. Even seemingly small amounts of EMFs like those created by the wires and appliances in your home, can disturb your melatonin levels. Researchers have found that residential 60-Hz magnetic fields caused by normal electrical house wiring and equipment (such as clock radios, electric blankets, and televisions) depress melatonin. In a comprehensive review of the all the published studies on EMF exposure and breast cancer, a definite link between the two was found, and so we can say with certainty that EMF exposure contributes to breast cancer. In many studies, even male electricians showed an increased risk of the disease. A review of eleven occupational studies found a statistically significant increased risk of breast cancer in several categories. Overall, the risk of breast cancer doubled in premenopausal women who had jobs with significant EMF exposure. These jobs included telephone-line installers, repairers, and line workers. The risk was 65 percent higher for system analysts and programmers and 40 percent higher for telegraph and radio operators. A German study published in Cancer Research in 2002 found that 50-Hz EMFs caused breast tumors to start growing and accelerated their growth-but, in this study, melatonin levels remained normal. These researchers concluded that EMFs may disrupt the body some other way. Regardless of the specific disturbance that EMFs cause in the balance of your body, we know one thing for certain: exposure to EMFs contribute to the initiation of breast cancer and accelerate its growth. Quantum physics has shown through the "superstring theory" that everything in the Universe including your mind/body at its most finite level is composed of vibrations. The intelligent vibrations of your mind/body create a measurable electromagnetic field around you called a "biofield". The health of your biofield influences the health of your mind/body and visa versa. Some external influences are harmonious with your biofield and support its health; others disrupt it. When you're exposed to man-made EMFs, they interact with your biofield. If the external EMF is out of harmony with your own, it creates imbalances in your biofield and obstructs the flow of its intelligence. When this intelligence is interrupted, it creates imbalances in your mind/body and causes it not to function properly. Eventually diseases such as cancer can result. There are many steps you can take to protect yourself from EMFs. For example, if you're building a new house or rewiring your existing one, have your electrician install a master switch in your bedroom. Turning this switch off at bedtime will cut off all the power and, therefore, any EMFs in your bedroom. Your electrician can also use "BX electrical cable" when wiring your home. This twisted wire doesn't produce significant EMFs. Simply standing a few feet away from most electrical appliances reduces your EMF exposure to nearly zero. Whenever you use an appliance, such as a microwave, toaster, or blender, step a few feet away from it while operating it. Of all the common electrical household appliances, hairdryers produce the strongest EMFs. Fortunately, there is a company that manufactures low-EMF hairdryers (www.lowemf.com). So, if this is something you use daily, consider purchasing one. One of the easiest and best approaches to protect yourself from the damaging effects of EMFs is to use devices that alter how your body and biofield responds to them. For example, a company called Gia Wellness provides a variety of devices that have been shown to be highly protective against electropollution. These devices range from ones that you wear, to chips that you place on your appliances, to "harmonizers" that you plug into the walls in your home. I recently began using these devices and experienced a profound difference in the level of fatigue and stress I experienced, especially while working at my computer. There have been amazing case reports of improved symptoms after using these devices revealing that EMFs may play a significant role in many health problems. For instance, symptoms including headaches and pain associated with fibromyalgia have resolved. Most impressively, a health provider in Tennessee who specializes in autistic children has observed tremendous improvement in her patients using these devices. One child after using the devices for several weeks began speaking for the first time! If you would like more information about these devices please call me 888-217-4441 or log onto Giawellness.com and I or one of my staff will get back to you.